At Capsugel, we believe that robust product design is key to successfully advancing compounds and improving overall speed to market. Having formulated and advanced thousands of compounds, we are well versed with addressing dissolution rate and solubility issues to achieve sufficient bioavailability (BA) for drug candidates. 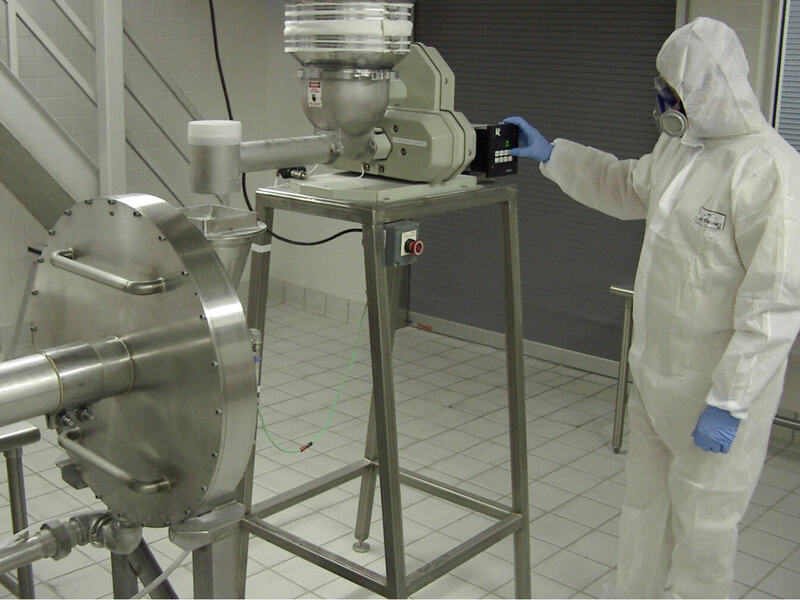 Particle engineering is a key area of expertise and we utilize multiple approaches based on spray drying or micronization dependent upon the application specific. Micronization via jet-milling is an established manufacturing technique for producing APIs with 1-10 micron average particle size. Using high-velocity compressed gas, jet-milling accelerates particles to supersonic speeds to achieve sub-10-micron particle distributions. These superfine particles result in Gaussian distribution curves with superior reproducibility. The process is conducted at ambient conditions due to the instantaneous pressure drop of the grinding gas within the milling chamber, cooling the colliding particles which makes jet-milling an ideal technology for sensitive pharmaceutical ingredients. Capsugel Quakertown (PA) serves as our Center of Excellence for particle-size reduction and particle-size control technologies for APIs used in drug products. This FDA registered site has seven cGMP suites in place with independent air handling units, HEPA filtration, temperature and humidity controls. These enabling technologies focus on the Micronization of active pharmaceutical ingredients (API’s) and expedients by providing processing suites with suitable cross contamination controls, jet mills of proprietary and sanitary design, and robust quality and cleaning protocols. By leveraging two decades of experience, Capsugel Quakertown has developed a robust process at any scale of development, including R&D, clinical or commercial scale. A compressed gas source (air or nitrogen) is used to accelerate particles in a tornado like flow path within the grinding chamber of the mill. Centrifugal force directs larger particles to the outside of the chamber. As particles travel in the circular path, particle-on-particle attrition occurs and particle-size reduction occurs. Pressure and feed rate can be varied to influence the resulting particle size. 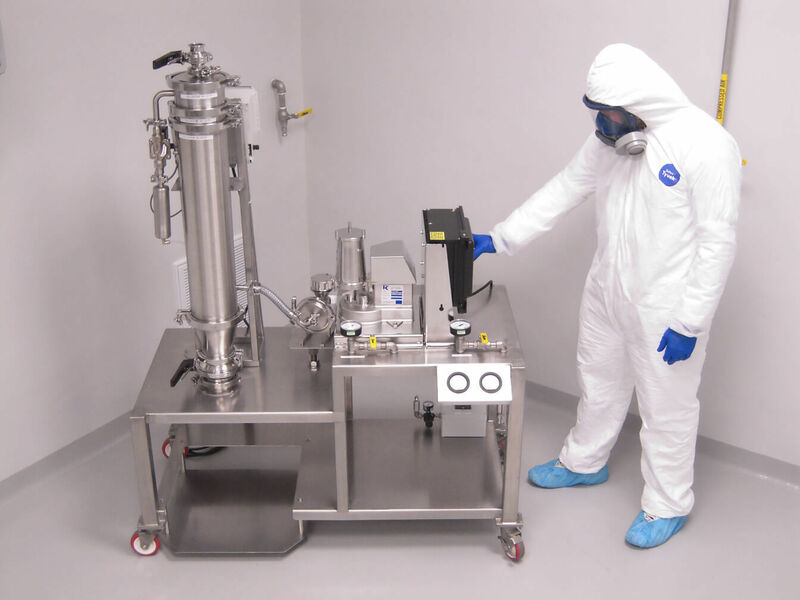 High containment capabilities support particle size reduction of highly potent and cytotoxic compounds. A range of mechanical and jet milling capabilities are utilized within an isolator designed to meet containment levels down to 1 microgram / cubic meter at scales from 1-100 kg batch sizes to support both early phase development through commercial manufacture of micronized API. Mill size, inlet orientation, and grinding nozzle design are evaluated, optimized and validated to achieve a robust and repeatable particle-size distribution critical for current Good Manufacturing Process (cGMP) processes. Our capabilities include multiple mills (2, 4, 10 and 24 inches) to facilitate batch sizes ranging from a few grams to metric tons for R&D, clinical trials and commercial-scale production needs. Interested in learning more about our Jet-milling capabilities? In this webinar, we will present data from in vitro analyses that can be examined in the context of in vivo absorption with an early-phase absorption calculator. Join us now to learn more! Micronization is an enabling technology providing effective particle engineering for a range of pharmaceutical formulations applications. Register today and learn more about various applications!